Many of you will remember that due to a horrible person hacking the site a few months back we lost so much including our entire picture gallery. It was so devastating after putting in so much work that I have to admit to being winded by it. Add to that me losing my computer and then certain programmes failing to work for me after it came home from the workshop I have taken my time in getting sorted out BUT I have been working hard and am delighted to announce the first upload is in the gallery. H5-0 Season 1 will be the first thing uploaded so we are ready for the new season but don't worry I have everything else on the go. We will keep you appraised here as each item is uploaded until we are all up to date. I can also announce we have a new watermark in place. We decided we want a new look. However due to some issues and to save me at least SOME work some of the albums will have the old watermark on them. We hope you enjoy the new look gallery. I had no idea what happened around here Sharon. I feel bad you had to work so hard doing things I've no clue about. I appreciate all you do. aolver wrote: I had no idea what happened around here Sharon. I feel bad you had to work so hard doing things I've no clue about. I appreciate all you do. Thank you Aly I am so happy with it. I am so sorry you had to do this all again. I know how much work and time it involves! 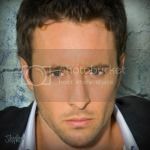 Love the new watermark, and like Alex it evolves with time. Thank you for all you do for us and Alex. If anyone is interested in checking out the new gallery here is the link. And one of the coolest features of this new gallery is there is a link on the right side of the page that will bring you right back to the forum. It looks great Aly & Sharon - so sorry you guys had to start all over again. Thanks to Skylar for my amazing avi and banner! Okay, I am delighted to report, the full first season of Hawaii 5-0 is now uploaded in the gallery. Sharon, you rock more than anyone has rocked before. It is so pretty over there. I love the picture frames around each picture. alyssa wrote: Sharon, you rock more than anyone has rocked before. It is so pretty over there. I love the picture frames around each picture. SQUEEEEEEEE! NOM NOM NOM Sorry but you know how I love my Mick. Episode 2.01 has been screencapped and added to the gallery, click the link and check it out. OMG! That was FAST You ROCK!!!! this "browsing" is gonna take several hours and it was only a 43 min episode....what's up with that? Oh yeah...maybe because my tongue is still in the way. That is purely awesome, Sharon.